Childbirth is an exclusively female affair, with only female midwives in attendance and no doctors. After childbirth, babies are rapidly baptised because of high infant mortality, usually in the absence of their mothers. New mothers are not allowed in church until about 30 days after the birth, and then must be ‘churched’, or ritually purified. 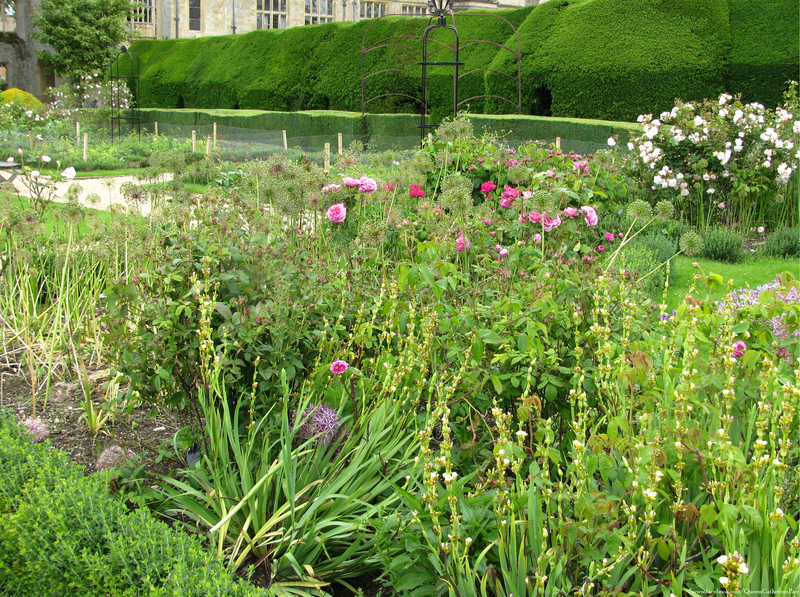 The Dowager Queen’s letter from Hanworth which is preserved at Sudeley Castle © Meg McGath, 2012. The last part of the message obviously had to do with Seymour’s friction with his elder brother which at this time was on the verge of paranoia. 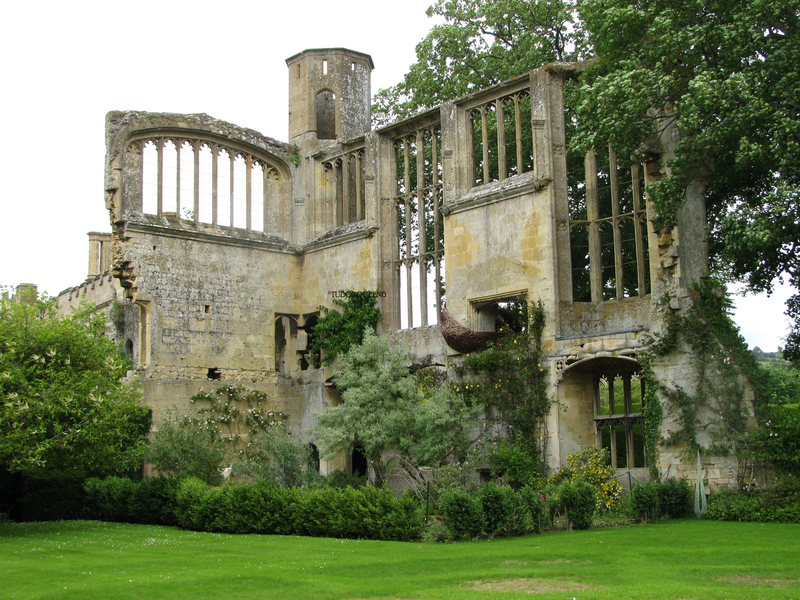 The Ruins of the 15th Century State Apartments, where Katherine would have spent her last few months © Meg McGath, 2012. The queen wrote to her husband who had been called away on duty describing the baby as very active. One could reflect on this letter — seeing Lady Elizabeth’s concern when it came to childbirth. Perhaps this weariness and the eventual death of her beloved step-mother would confirm that she would never consider having children. 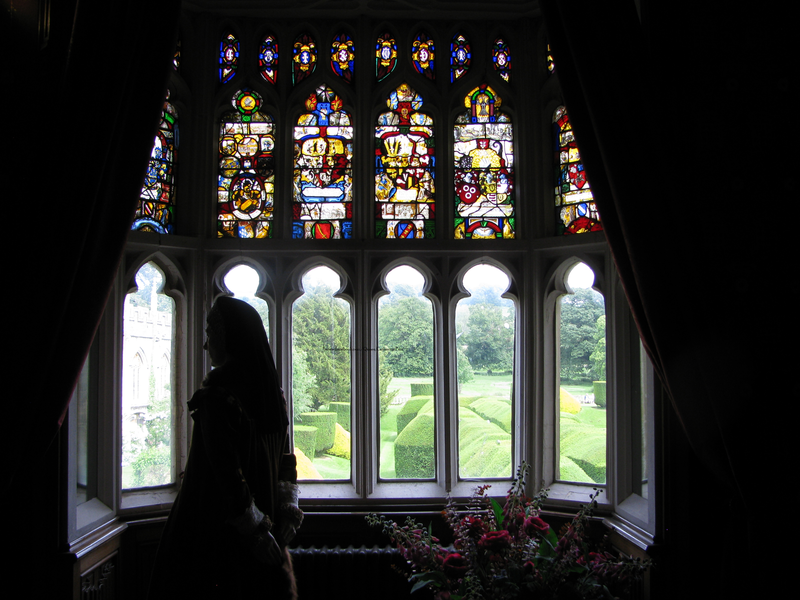 Queen Katherine looks from the window in her nursery which overlooks the gardens and Chapel. The Queen’s Garden where Katherine would have walked. 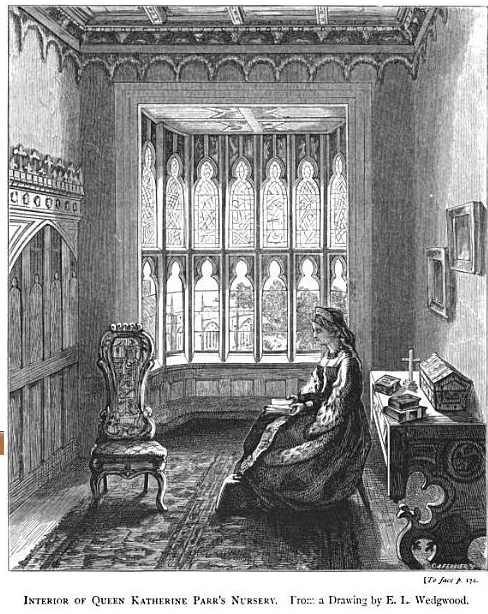 The nursery as it is today; the woman portrayed here is Queen Katherine’s sister, Lady Anne Herbert [later Countess of Pembroke] who was Katherine’s groom. 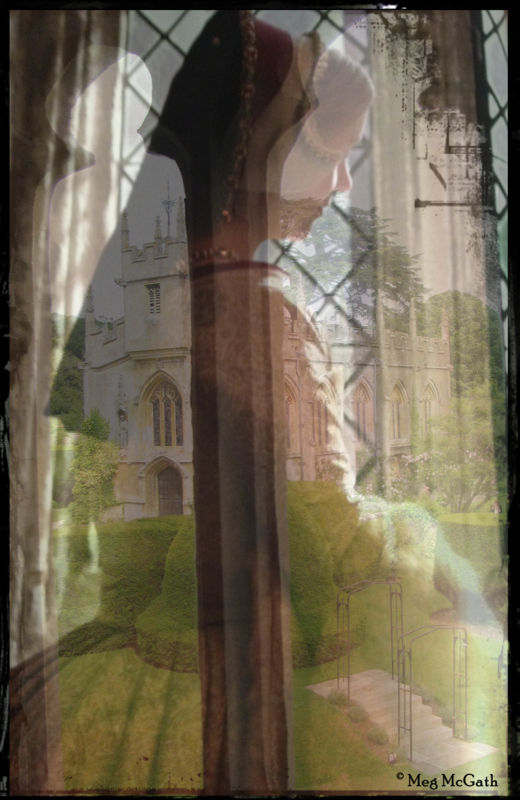 On Thursday, 30 August, [coincidentally in 2012, the celebration of Queen Katherine’s 500th anniversary of her birth, the 30th of August ALSO fell on a Thursday, on the eve of a blue moon] Katherine brought to bed a healthy baby girl who was named Lady Mary in honour of her step-sister, the Lady Mary Tudor. Disappointed briefly that the son and avenger he had hoped for had turned out to be a girl, Seymour rallied quickly and announced his daughter’s birth to the lord protector in ‘glowing terms’ and with a detailed description of her beauty. Somerset, the father of 12, was amused by his brother’s enthusiasm for fatherhood. But Seymour’s joy in his child’s birth was followed by fear at his wife’s worsening condition. 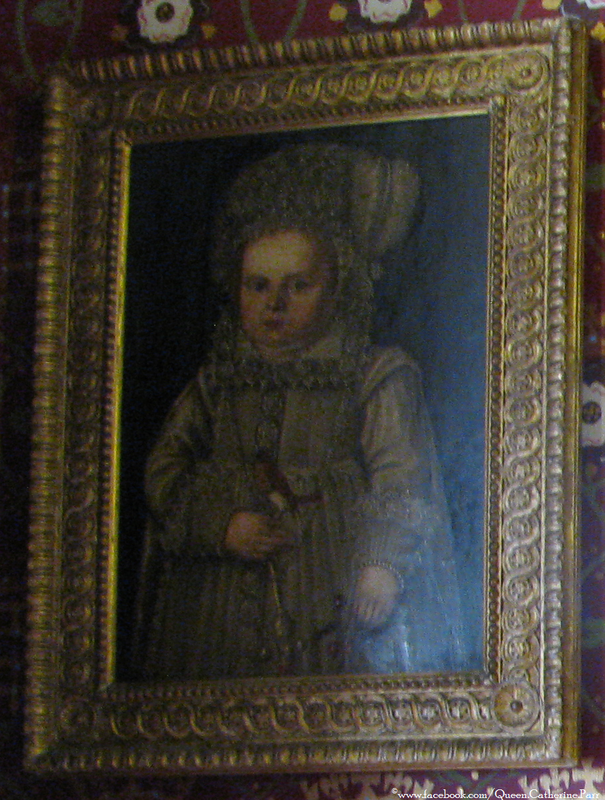 This portrait of a baby/small child hangs in the Nursery at Sudeley Castle. No identification. 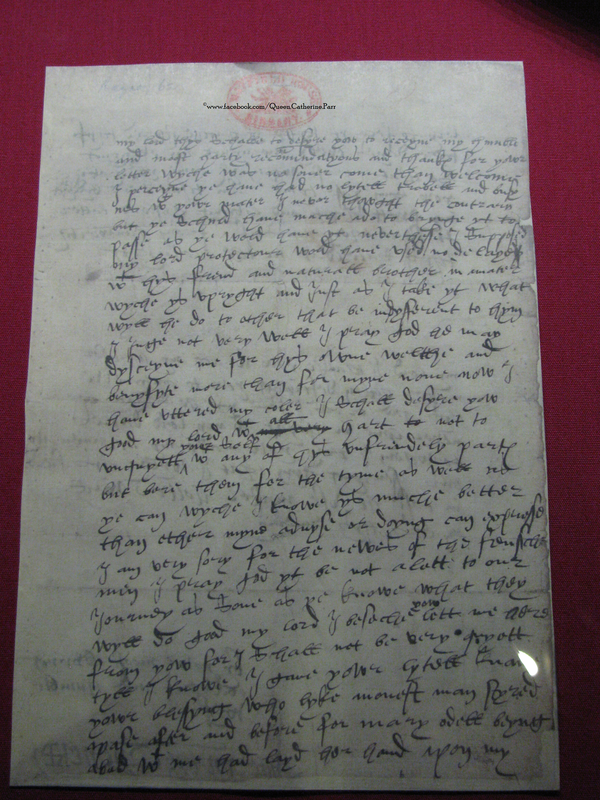 This entry was posted in The Dowager Queen Katherine (1547-1548), The Family of Katherine Parr, The Queen's Households and tagged 30 august 1548, daughter of katherine parr, daughter of thomas seymour, Dowager Queen Katherine, elizabeth tudor, Lady Elizabeth Tudor, Lady Jane Grey, lady mary seymour, mary seymour, pregnancy of catherine parr, pregnancy of katherine parr, queen elizabeth, Queen Katherine Parr, sudeley castle, Thomas Seymour by tudorqueen6. Bookmark the permalink.